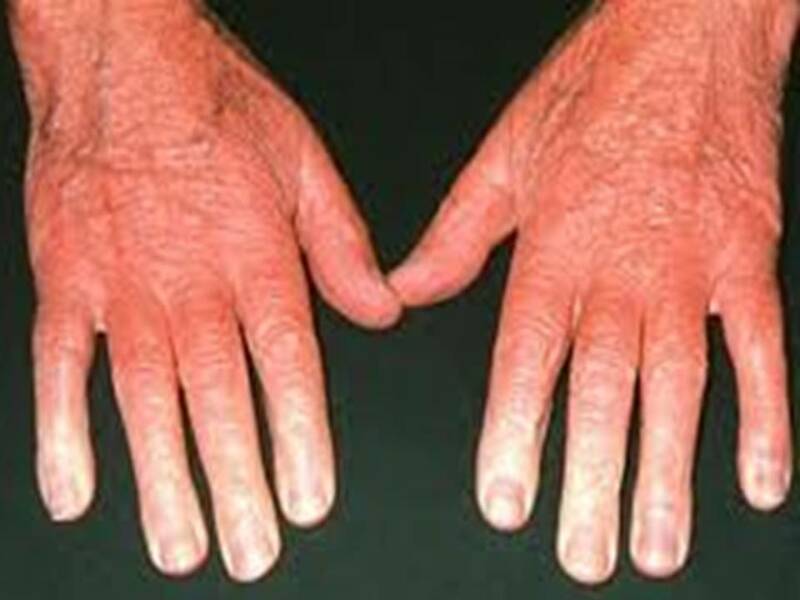 Raynaud's disease is a disorder that affects the hands and feet (fingers and toes). It is caused by narrowing of the smooth muscles controlling the small arteries supplying circulation into the hands and feet. This contraction - a vasospasm, makes the arteries so small that they restrict blood flow. When this happens, blood can't get to the surface of the skin and the affected areas turn white and blue. When the blood flow returns, the skin turns red and throbs or tingles. In severe cases, loss of blood flow can cause sores or tissue death. Exposure to cold temperature can bring on a vasospasm, as well as stress can trigger attacks.